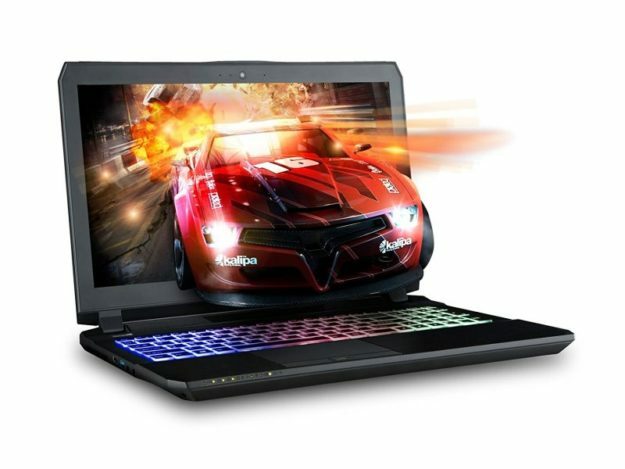 Looking for that perfect laptop that can run basically anything? A laptop with 32GB of RAM is a great choice: these are usually high end machines built with the latest and best technology, so if you want power and amazing performance, you’re on the right track. You’re also paying a bit less than you would for a 64GB laptop and honestly, the price difference for the extra 32GB of RAM is too big for the performance boost you’re actually getting. 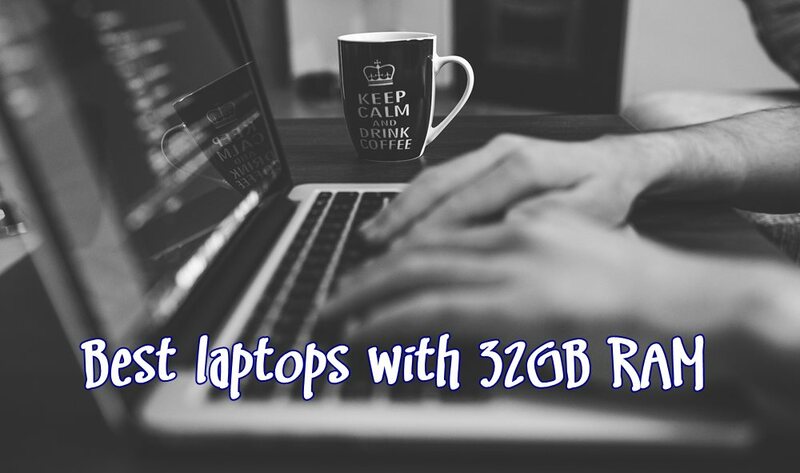 So yes, right now going for a laptop with 32GB of RAM is the perfect move you can make – and we’ve done all the research for you to be able to recommend the best 32GB RAM laptops of 2018 in this article. And we know that size matters when it comes to the display of your laptop, so we decided to split our research in two categories. 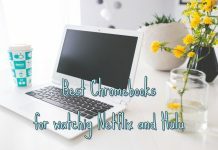 Therefore, we have listed below the best 15.6″ laptops with 32GB of RAM, as well as the best that have a display of 17.3″ so that you can really chose a laptop that fully fits your needs. Now lets find out more about these top laptops with 32GB of RAM: details and everything you need to know in order to make an educated purchase and be 100% sure that you are indeed buying the right product for you. The cheapest product on our list is actually a really good find! As you will see for yourself, it has some pretty impressive specifications, offering a lot in terms of quality especially at its low cost! 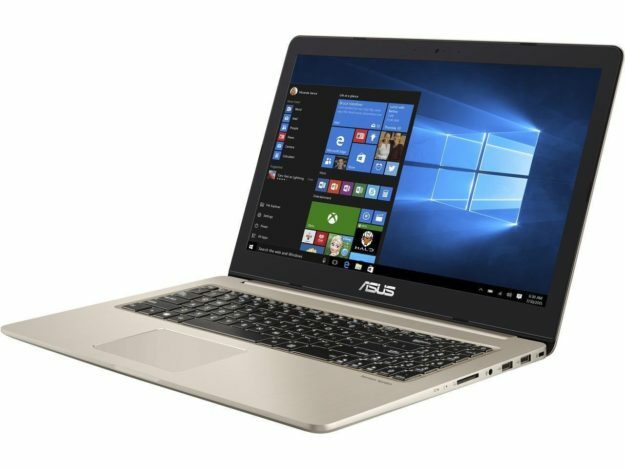 Apart from the 32GB of RAM that it has, the Asus VivoBook Pro is powered by a really solid processor, the Intel i7-7700HQ Quad Core that can be boosted all the way up to 3.8 GHz. It also has a dedicated graphics cards, the NVIDIA GeForce GTX 1050 with 4GB of RAM. The GPU is not really the latest generation, but it’s still a very solid graphics card that can easily handle the most intensive tasks and current generation games. And for this price, you can’t really get anything better! In terms of storage, we get an interesting combo: 256GB of fast SSD storage (so not enough space for more than the operating system and maybe 1-2 other programs or games), plus a whooping 2TB HDD! That’s a ton of storage for anything from videos to photos, music and tons of games or programs. You never seem to have enough storage, so the more the better! The laptop itself looks really good: it’s slim and nice, but extremely powerful and durable. The 15.6″ display is full HD (1920 x 1080px), while the battery is decent, but not impressive. It has an intelligent dual-fan system for cooling and keeping the temperature low is vital for such a powerful laptop, so you’re scoring big in this area. And in all areas, actually, since you get a great deal for an amazing price. Definitely worth checking out, especially if your budget is limited. The brand might not ring any bells, but this doesn’t mean that this extremely performant laptop isn’t any good! On the contrary, you’re getting an amazing laptop for a fair price! Just like the previous model – and like most on our list – it is powered by an Intel i7-7700HQ Processor, which is one of the best on the market at the moment. It has an even more impressive graphics card, the NVIDIA GeForce GTX 1060 with a whooping 6GB of RAM. And as if that weren’t enough, you’re also getting extra SSD storage thanks to its 500GB drive, plus 1TB on a tradition HDD. In other words, this is one of the most powerful laptops out there: blazing fast and extremely reliable, it will be able to complete any task without a problem. And it also has a lot of extra goodies included in the package – things that gamers will probably appreciate the most. For example, it comes with a beautiful backlit keyboard, it has tons of ports so you never run out of space when it comes to plugging in extra devices or gadgets and also comes with a Fingerprint Reader for extra security. The only downside is that it doesn’t have an optical drive, but that really doesn’t matter much today when everything is downloaded over the internet. We’re moving to larger screens right now and larger displays mean more expensive laptops. 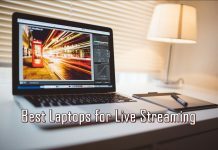 But sometimes you just have to pay the extra money for the extra screen space, especially if you’re making this purchase for gaming, photo or video editing or other tasks that benefit from a larger screen and increased resolution. 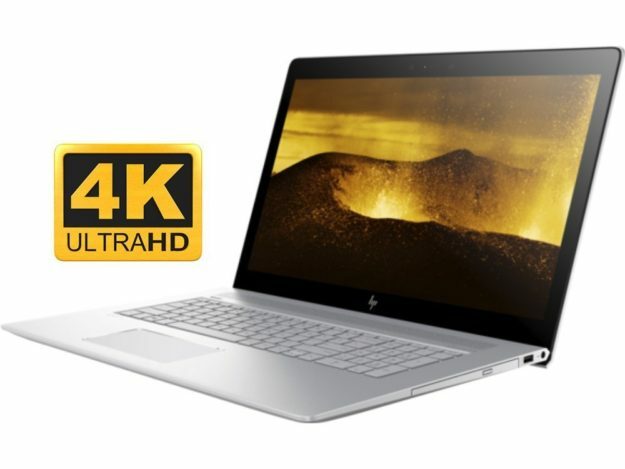 And the HP Envy 17t – the first recommendation we have to make – is a really good choice overall. The laptop itself is powered by an 8th Gen Intel i7-8550U Quad Core Processor (which is difficult to find for this price!) which goes up to 4.0 GHz if you Turbo Boost it. 32GB of RAM are already installed to make everything run as smoothly as possible. Unfortunately, it’s not all perfect with this laptop. The graphics card could’ve been better: the NVIDIA GeForce MX150 it comes equipped with, even though it has 4GB of RAM, still stays behind the more recent and powerful cards in the GTX series. It’s really disappointing, for sure! However, this is not a deal breaker. Despite the less performant graphics card, this laptop still runs like an angry beast: fast and solid. It can run very demanding tasks (especially those focusing more on processor power, threads and requiring extra RAM), but also current generation games. It doesn’t do as well as the other products we’re recommending, especially when it comes to computer games, but it’s still pretty good! Also, unless you have a really big budget allotted for your purchase, you will have to make a compromise here or there if you need a large display. Speaking about the display, it’s really amazing! The colors are vibrant and everything looks good on the large screen. The laptop itself delivers an impressive 4K UHD resolution (3840 x 2160 px), so you know you’re in for a treat! And you’re sure you can store 4K videos on it thanks to the 1TB HDD / 128 SSD combo. It’s also a pleasant surprise that it comes with an optical drive installed (DVD reader / writer), as well as tons of ports for you to get the most out of. So in the end, despite the fact that the graphics card doesn’t really rise up to the standards, everything else does and the HP Envy is definitely a solid contender to look at! If you have a bit more money to spend, this is definitely the best choice on the list! An amazing overall laptop that really has no flaws and the best 32GB laptop on our list. And most likely, the best you can find if you take everything into consideration. 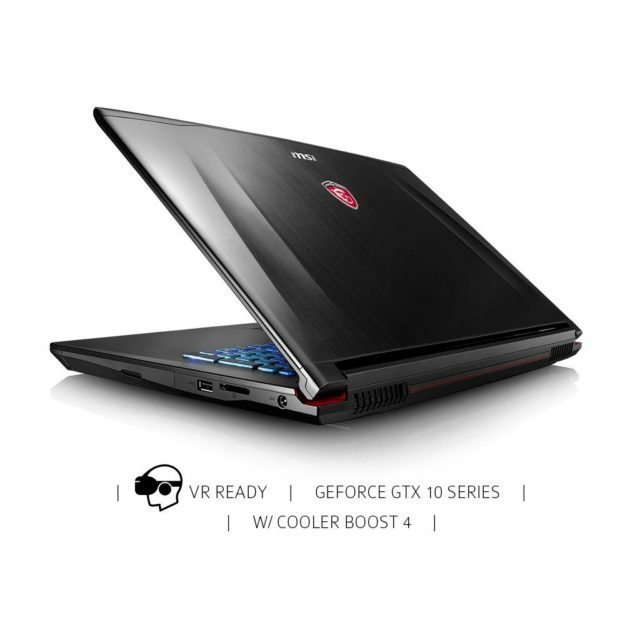 Powered by an Intel Core i7-7700HQ processor and 32GB of RAM, this laptop has an absolutely insane graphics card: the NVIDIA GeForce GTX 1070 with 8GB of RAM. This means that it is perfect for gaming, video editing and basically anything you can think of that can be done on a computer. It’s VR ready too, so really, it is pretty impressive! It is true that it only delivers a Full HD resolution (1920×1080 px) and some might expect a bit more from such a powerful laptop, but the image quality is still extremely good and you won’t really have any reasons to complain when you look at the screen. Especially since you can do it from a very wide angle and still enjoy the Anti-Glare capabilities of the display. Plus, it has a native 120Hz refresh rate, which really makes a difference! But good news don’t end here! The MSI Raider also has a lot of great storage to offer – the best options on our list: a 512GB SSD, plus a 1TB HDD running at 7,200 RPM. In other words, it’s fast and offers a ton of room for storing your files, games and whatnot. Plus, thanks to the large SSD, you get a more than welcome boost of speed when it comes to writing/reading jobs. Created especially with gamers in mind, it can still be used for any demanding program or task. It has a backlit keyboard with anti-ghosting features, it comes with an optical drive too and looks absolutely outstanding! It’s true – it’s the most expensive on our list, but it’s worth all the money! These would be our top recommended products. We tried to keep budget in mind, without losing anything in terms of quality. You can rest assured that, no matter which of the recommended laptops you choose, you are making the correct decision and you’ll end up with an amazing product you’ll love for the years to come! Update note: This article was initially published in 2017, but we have updated it in 2018 in order to make sure that we deliver the best recommendations in the fast-evolving world of tech. And since we’re dedicated to always deliver up to date information, we’ll constantly update this list with the best products on the market. 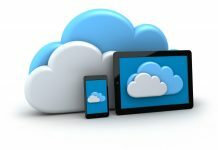 Next articleWhat Is the Best Cryptocurrency / Altcoin to Mine with Your Laptop in 2018?